Debt is like an avalanche – it might start with something simple, but it can quickly get out of control. Maybe your paycheck ran a little low one month and you had to buy groceries on credit. Or maybe you missed a car payment or were late paying your utility bill. We all struggle with debt from time to time, but how you handle it is what makes the difference. Keep reading to learn some simple ways to start eliminating your debt today. The first step in getting rid of debt is to stop adding to it. There are a number of different ways to accomplish this goal, but the simplest is to stop using your credit card – start dealing in cash and stop spending when you run out. At a certain point, your debt ceiling might be so high that it hardly seems real to you anymore. If you want to get serious about eliminating your debt, you need to be realistic about it. Think of all the things you aren’t able to do because you’re in debt and then imagine your life free from debt. That’s your motivation to follow the rest of the steps on this list. 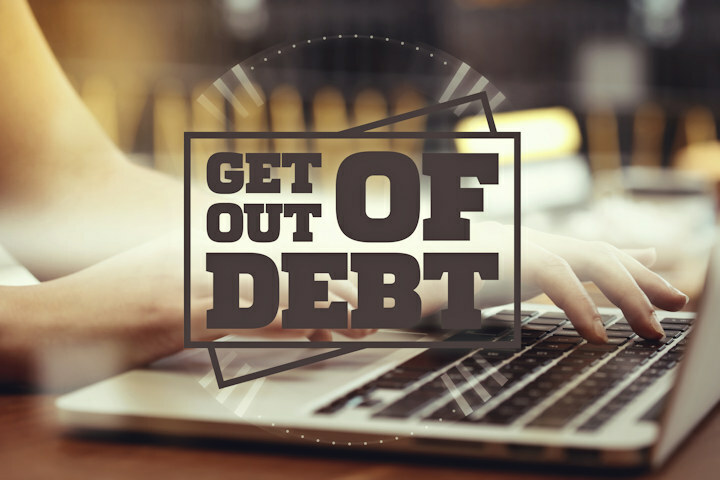 If you’re going to pay down your debt, you’ll need to make more than the minimum payment. Before you start doing that, however, you need to know exactly how much debt you have, how much money you have coming in, and how much you can afford to pay. Spend a few weeks tracking every dollar you spend and make, dividing it into categories until you can conduct a thorough examination of your spending. Many people who are in debt owe money to multiple creditors. When it comes to paying down that debt, you have several strategies to choose from. One option is to make additional payments across the board – you’ll make slow progress, but it will be progress, nonetheless. The other option is to choose one or two accounts to focus your attention on and to pay them down quickly while making the minimum payments on the rest. If you choose this option, start with the accounts with the highest interest rates. You could also start with the smallest account balance and work your way up. Many people don’t realize that creditors are often willing to work with their customers to help them pay off their debts. If you’ve fallen into debt due to a financial hardship, medical emergency, or some other factor, your creditors might be willing to lower or waive your interest rate for a period of time. The key is to ask for help before things get out of control. You could also talk to a credit counselor to see what your options are for lowering or consolidating your debt. Eliminating your debt is not something you can do overnight (unless you win the lottery). It took time to accumulate your debt, so it will take time to get rid of it. By following the simple tips above, however, you can start chipping away at it today. Good luck!